She now lives in New York but actress Imogen Poots — star of The Look of Love and 28 Weeks Later — was born and grew up in London. In the run up to the release of her latest film Green Room, we caught up with her to get her thoughts on her hometown. "I was born in the now-demolished Queen Charlotte's Hospital in Hammersmith – I think it's a Starbucks now. I grew up in Chiswick, but I don't recognise it now — it's full of coffee shops." Growing up in Chiswick would explain why Poots's favourite Underground line is the much-maligned Hammersmith & City – "it was my main route into London." Well, when it actually worked, anyway. "I love Fawlty Towers," says Poots, on being asked on her favourite film or television series set in London. Erm ... that's not set in London, Imogen. "Oh. In that case, Spaced. But can we mention Fawlty Towers anyway?" Indeed we can. It turns out she loves the BFI and its terrace bar, the Courtauld Gallery — and her top tip is Soho's New Evaristo Club: "You enter a blue door on Greek street and there's just a woman making cold cuts, but it's actually a great bar to hang out in." Another recommendation are the bars in the hotels around Bloomsbury: "They are strange and feel like something out of a David Lynch movie." Poots clearly misses pubs too — she's a fan of the Red Lion on Kingly Street. The dry London sense of humour can't be beat, says Poots, but her pet hate is people who are walking and suddenly stop for no reason: "They don't deserve to be allowed to walk on the pavement." We wholeheartedly agree. 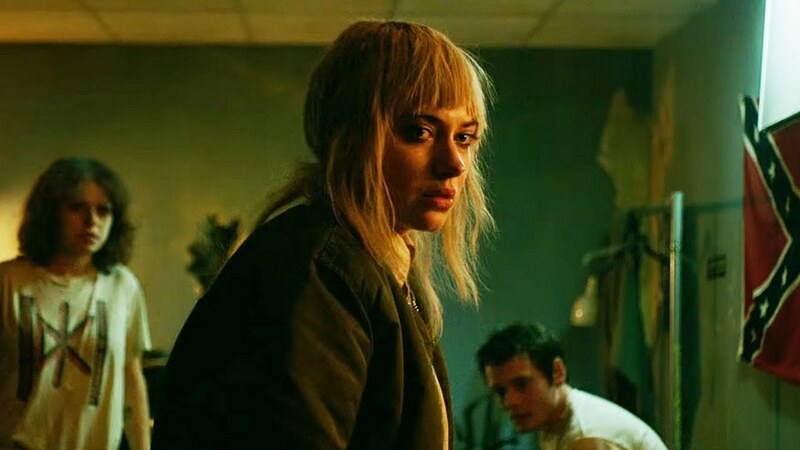 Green Room is out on general release on 13 May.